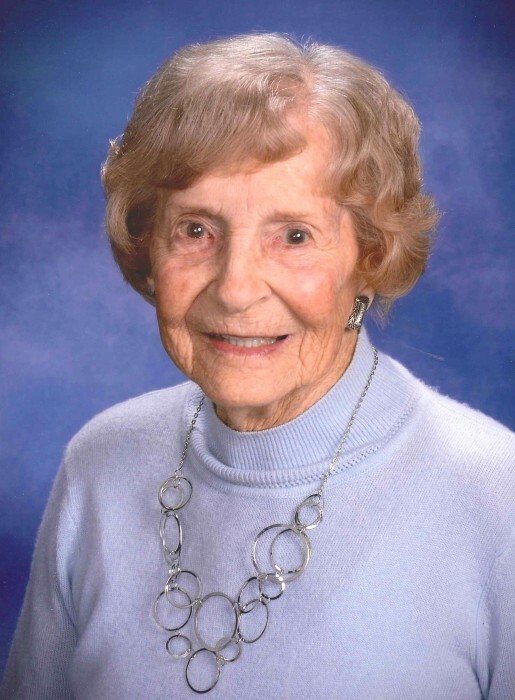 Rose Watkins Kiefer Mott, of Parksley, VA, passed away peacefully at her home on Monday, January 14, 2019, at the age of 103. Born October 18, 1915 in Mount Airy, MD, she was a daughter of the late Asa Hull Watkins and Jessie Fay Brandenburg Watkins. Following the Great Depression, Rose participated in President Franklin D. Roosevelt’s Works Progress Administration (WPA), working as a sewing room trainer and area manager. Rose was a longtime devoted member of Grace United Methodist Church, where she was active in the choir. With more than a century of memories and wisdom, Rose experienced more than most could ever imagine. Throughout her life, she remained dedicated to both her faith in the Lord and her beloved family, qualities for which her daughter, Patti, will forever be thankful. Rose is survived by her loving daughter, Patricia Dale “Patti” Kiefer of Fort Washington, PA; two daughters-in-law, Agnes Gaylor of England, and Karen Crim and her husband Glenn II, of Fox Grove, Parksley; and cherished friends of all ages. In addition to her parents, she was predeceased by her husband, William James Kiefer; son, William James “Billy” Kiefer, Jr.; brother, Elsworth Watkins; sister, Jessie Fay Grigsby; and granddaughter, Diana. A memorial service will be held at Grace United Methodist Church on Wednesday, January 23, 2019 at 3:00 p.m., with The Reverends Alan Layman and Don Jamison officiating. In lieu of flowers, memorial contributions may be made to Grace United Methodist Church, P.O. Box 156, Parksley, VA 23421.